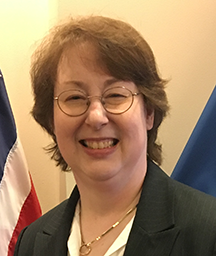 2018 Women in Biometrics Award winner Lisa MacDonald serves as Director of Identity Capabilities Management Division, DHS Office of Biometric Identity Management (OBIM). But MacDonald didn’t know how to spell biometrics when she stumbled into the industry. What I’m really most proud of is being part of the organizations – first at DOD and now at DHS – that deliver biometric services that make a real difference all day, every day supporting national security and public safety. Her career highlights include leading a successful campaign to garner a $200-million replacement biometric system for DHS – the Homeland Advanced Recognition Technology (HART) system – and crafting strategic planning and implementation processes for DHS and BIMA. MacDonald and four other winners will be honored with the Women in Biometrics Awards on November 14th in New York City. The Security Industry Association will join SecureIDNews to present the awards during one of the security industry’s most prestigious events, SIA Honors Night.